Just off John Vorster Road in the northern suburbs of Johannesburg, you’ll find Randridge Mall. It’s your typical suburban shopping mall, with more than 80 shops, plenty of parking and 18 957 m² of retail space. Atypically though, it has a 10 900-panel PV solar farm on its roof. Completed in October 2017 at a cost of ZAR16 million, the solar farm produces approximately 1.2 MWh of electricity – enough to save real estate investment trust Emira Property Fund an estimated ZAR40 million in electricity costs over the next 15 years. Randridge Mall is Emira’s second such solar project, following a similar installation at Epsom Downs Centre in Bryanston. That project produces around 271 kWp and saves about 515 172 kWh per year. ‘Our pilot solar power project has proven a success and delivered real, tangible benefits that we are excited to extend to Randridge Mall,’ says Justin Bowen, Emira development manager. ‘At the same time as driving down electricity consumption and costs, our increased use of renewable energy further reduces Emira’s carbon footprint. ‘We are assessing further opportunities for using on-site renewable energy generation and reducing electricity consumption at other properties in the near future.’ This kind of technology brings benefits, clearly … but it also comes with a new set of challenges. ‘Without a doubt, managing energy costs while driving sustainability and efficiency is one of the biggest power-management challenges that facility professionals face today,’ says James Calmeyer, Schneider Electric vice-president of building (Southern Africa). Calmeyer adds that the largest trend impacting facility power management is the growth of complex electrical networks (including distributed generation such as solar, battery storage and backup generation), coupled with voltage disturbances from harmonic emitting sources such as variable frequency drives and LED lighting. ‘In the past, every building was more or less designed in the same way from an electrical perspective, with the main source of power coming directly from the electrical utility,’ he says. To help South Africa’s move towards energy efficiency, the Department of Energy, together with the UK’s Department for International Development, introduced the Private Sector Energy Efficiency (PSEE) programme in 2013. Implemented by South Africa’s National Business Initiative – and bolstered by GBP8.6 million in UK government funding – the PSEE was the former’s first major national energy efficiency programme aimed specifically at the private sector. It raised awareness of the benefits of energy efficiency, and encouraged local businesses to adopt best-practice energy management. The energy-saving technologies used by Woolworths Palmyra include automated doors to maintain the interior temperature; reclaimed heat from the refrigeration system and air conditioning used for underfloor heating; harvested rainwater for flushing the toilets; skylights that optimise natural light; and fully automated lighting that ensures no energy is wasted when natural light is available. 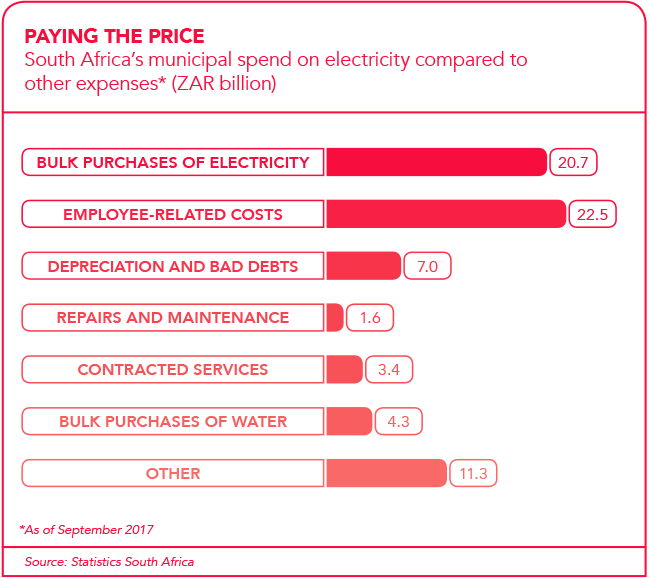 Projects similar to this – some smaller and others significantly larger in scale – are being rolled out across South Africa. 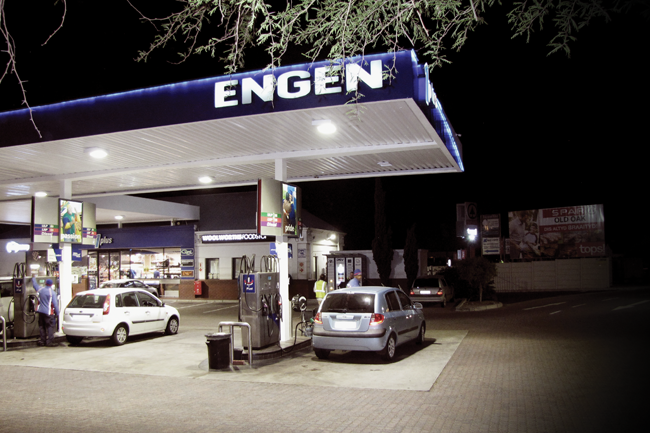 Engen saved some ZAR2.3 million in just two years after installing energy-efficient LED light fixtures in its service station forecourts nationwide. 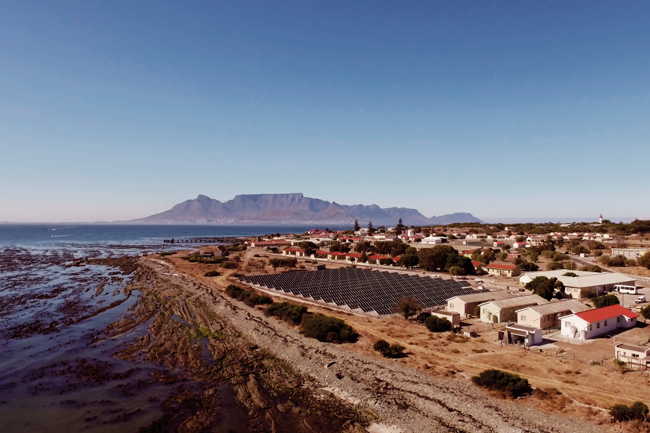 Meanwhile, on Robben Island, renewable energy firm Sola Future Energy installed a ZAR25 million solar PV farm (with a microgrid supplied by global tech firm ABB and modules by Canadian Solar) in late 2017. Funded by the Department of Tourism as part of its Green Tourism Incentive programme, the microgrid produces about 1 million kWh of electricity per year, fulfilling about half of the island’s 2 million kWh annual requirement, and dramatically reducing its dependence on the diesel generator that had previously provided all its power. ‘For about nine months of the year, the island can be powered by solar and battery only, without any need for the diesel generator,’ according to Markus Bruegmann, global product group manager: microgrids and distributed generation at ABB. More and more businesses – and governments – are enjoying the benefits of energy-efficient practices as well as the renewable technologies that often fuel them. Speaking at the 2017 Windaba energy conference in Cape Town, Paolo Frankl, head of the International Energy Agency’s renewable energy division, said that renewables currently account for two-thirds of global net capacity additions, and are expected to grow at double the velocity of fossil fuels within the next five years. He added that solar PV had moved ahead of coal to become the global leader in net capacity growth, with wind power additions ‘very close’ to coal, despite a ‘bumpy’ year. A major driver of that growth, said Frankl, was the fact that the cost of solar had halved between 2014 and 2017 – and was expected to halve again over the next three years. Zambia’s Scaling Solar programme provides a perfect example of that. ‘Across the world, we are seeing low auction prices for renewable energy projects,’ Rachel Kyte, CEO and special representative of the UN Secretary-General for Sustainable Energy for All, wrote in a CNBC Africa article. Africa, Kyte added, is at a crossroads on energy. ‘For many decades, the path of choice for closing energy access gaps in Africa was centralised fossil fuel projects and costly distributed diesel and kerosene. Today, there is a better path, and many are showing the way with more renewables into electric grids; a stronger embrace of off-grid solar for household access; and subsidy reforms.